PaigeeDraw: PaigeeDraw Christmas Released on iTunes! 17 YEAR OLD RELEASES 4th IPHONE APP IN CELEBRATION OF HER COMPANY’S 1st YEAR ANNIVERSARY! PaigeeDraw Christmas on iTunes now! 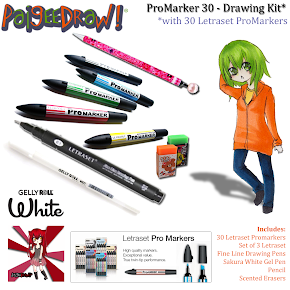 PaigeeDraw Christmas is the newest addition to the series of apps teaching manga fans how to draw. This Christmas marks PaigeeDraw’s one year anniversary and punctuates many months of very hard work. 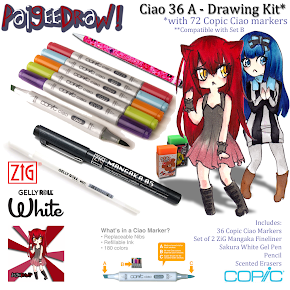 PaigeeDraw is a small start-up company founded by 17 year old, Paige Rohrick. Paige is a manga/anime artist who has created four iPhone/iPad apps this year teaching budding artists how to draw. Between attending high school full time, attending university art classes and creating a small business, Paige has been very busy. In addition to creating apps, PaigeeDraw has developed a huge following on facebook with over 300,000 members across all of the PaigeeDraw facebook pages. 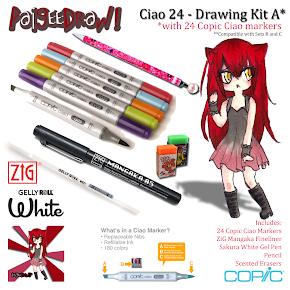 It is evident that PaigeeDraw has struck a chord with manga enthusiasts and as a result has created a community where artists can meet and share their love of drawing. Sales on the app store have made it possible to run numerous contests this past year and be able to give away literally thousands of dollars worth of quality art supplies; many to kids in parts of the world where these supplies are not readily available. PaigeeDraw HD Christmas is the second edition of the app which originally debuted last Christmas. It has over 40 tutorials that are fun and inspiring and highly informative. Every tutorial has step by step instructions containing visual guides, a written instruction page and a list of the tools used. All of the art is original work created by Paige and is a huge inspiration in itself. 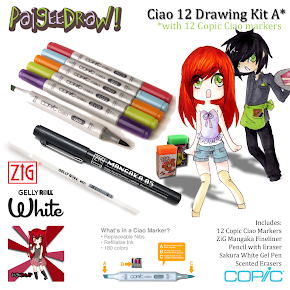 PaigeeDraw Christmas is a great way to entertain any aspiring manga artist over the holiday break and into the coming year. 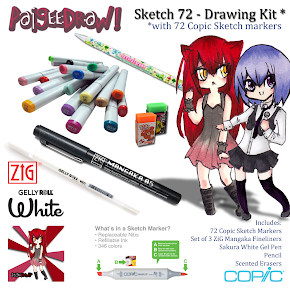 PaigeeDraw Inc. is an instructional art resource and online store teaching budding artists how to draw using manga techniques as well as some of Paige’s own original methods. 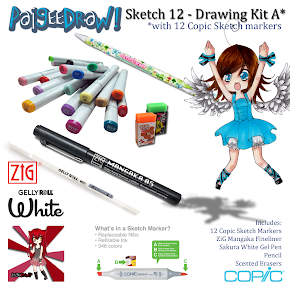 These apps list all of the tools and supplies needed to complete any of the drawings and PaigeeDraw makes things even easier by making these supplies available on the online store at shop.paigeedraw.com. For further information or to schedule an interview with Paige, please contact Candace Hegg by phone 778-882-9176 or email info@paigeedraw.com.